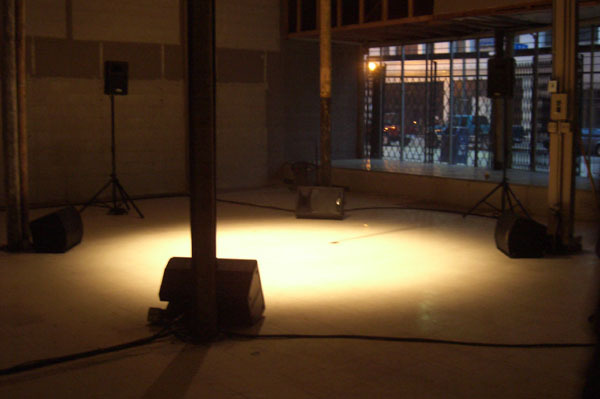 "Catch 22 goes online" is a telematic 3D sound installation connecting the cities of Cleveland and Seattle. Based on the concept of recursion and feedback, the piece blends the acoustics of two remote sites through the Internet, creating a hybrid meta-space to which the network imprints it own sonic traits. Cleveland/Seattle, July 13 to 17, 2006. Cleveland location: abandoned site in downtown area, former Goldfish Army Store, 206 Prospect Ave E.
Seattle location: Center for Digital Arts and Experimental Media (DXARTS), 3D audio studio, University of Washington. "Catch 22 goes online" was done in collaboration with composer Nicolas Varchausky. The piece explores the concept of acoustic telepresence, and emerged from a particular line of inquiry: what would happen if we could experience the echo of our own voice coming back from an unknown remote site?, would the acoustics of the remote location be encoded in our returning (and transformed) voice?, and finally, how could a work of sound art be site specific but at the same time transcend its own locus?. In this piece, the concept of recursion and feedback (ever-present in the Catch 22 saga) has been extended to the domain of space: a 3D audio feedback loop was used to overlay copies of the acoustics of two remote sites, dissolving them into a new sonic space. 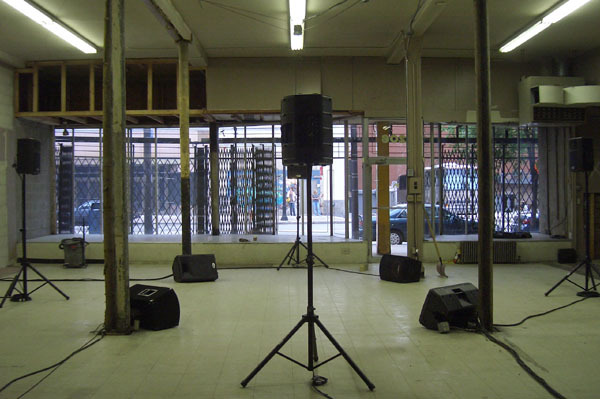 As the acoustics of the locations were mediated by the Internet, it was also our intention to reveal the immaterial presence of the network, letting it imprint its own "traits" to the sound. In other words, the echo returning from thousands of miles away could be experienced as the embodiment of the Internet itself, its delay and unstable conditions being incorporated to the sonic world of the piece. 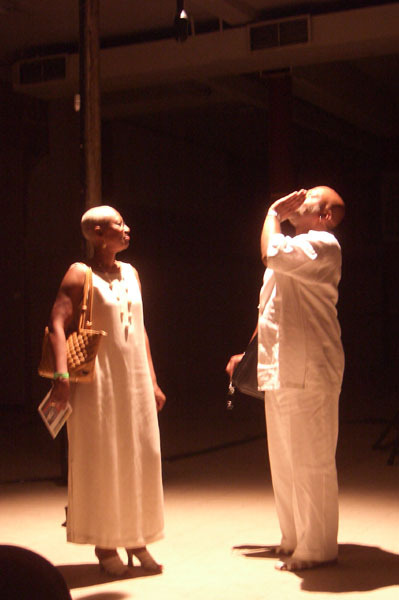 Beside working as an installation piece, "Catch 22 goes online" was also explored as an experimental telematic performance venue. Stuart Dempster performed a long improvisation session from Seattle interacting with the system and with visitors on the Cleveland site. 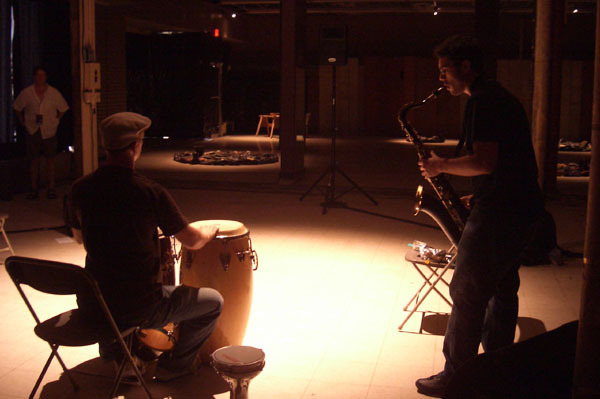 Other musicians from Seattle and Cleveland were invited to participate at scheduled jam sessions throughout the exhibit. In "Catch 22 goes online" two remote locations were connected sonically through the Internet. 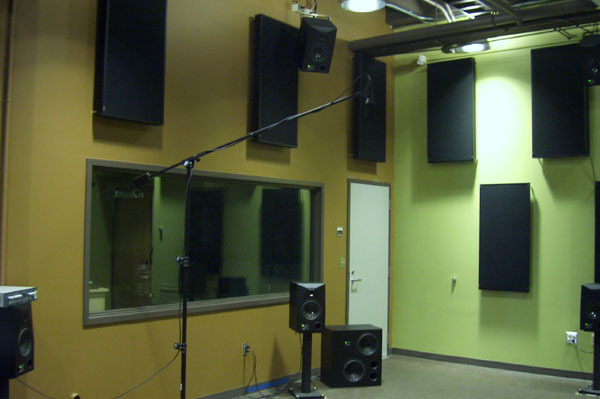 For this purpose, a first-order ambisonic microphone was set at each site, capturing the acoustics of each location in 3D. These microphones output a sound encoded in a particular format (called B-format) consisting of four audio signals (W, X, Y, Z) which vectorially represent the directionality of the captured sound. The captured B-format signals were sent through the Internet using custom-designed software  and decoded to an array of speakers at each remote site, creating a computer-controlled 3D audio feedback loop. The result of this was some sort of superposition of the acoustics of both sites, giving the impression to the visitors of the installation of being present simultaneously at both locations. A customized version of the JackTrip software developed at CCRMA, Stanford University, was used to transmit 8 channels of high quality audio (16 bits, 44100 Hz) through the Internet. 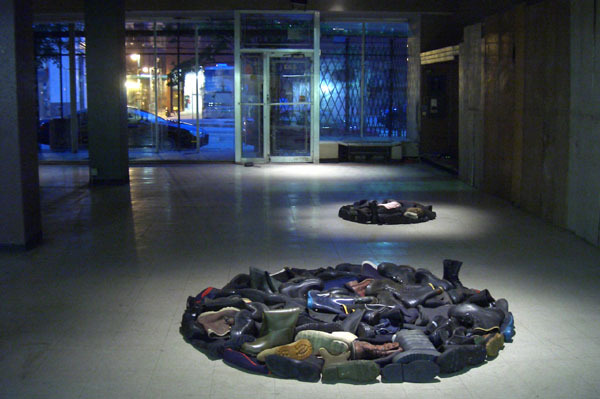 Project Art In Situ (P.A.I.S. ), Universidad Nacional de Quilmes, Center for Computer Research in Music and Acoustics (CCRMA). Seattle Team: Chad Kirby, Jonathan Lyon, Mike McCrea. Cleveland Team: Teresa Riccardi, Mike Telin, Chris Yewell, Thomas Knab. Clockwise (click to enlarge images):  Detail of Cleveland site installation  Cleveland visitors interacting telematically with Seattle site  Performance at Cleveland site  Detail of Cleveland site installation entrance  Detail of Seattle site including Soundfield microphone setup  Performance at Seattle site  Detail of Cleveland site showing audio setup  Detail of Cleveland site showing audio setup and lighting at transmission area. 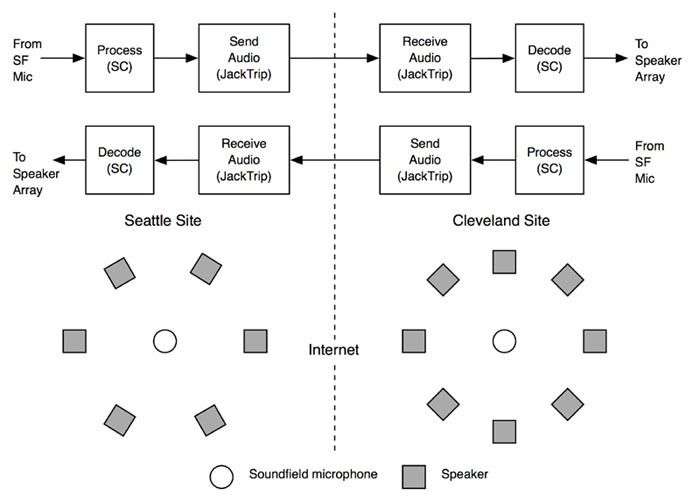 Left to right (click to enlarge images):  Sound network block diagram  Sound processing block diagram. 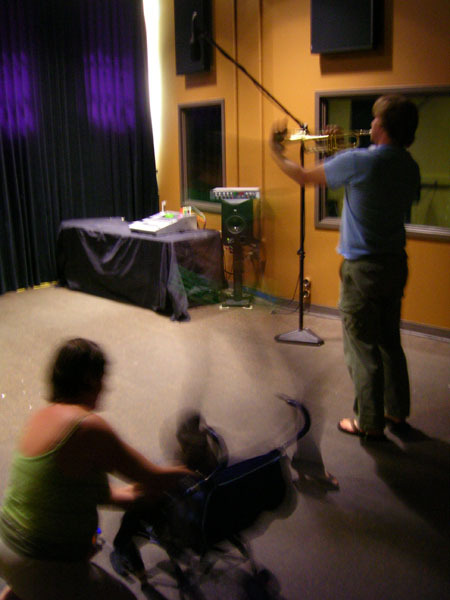 Audio recording done at Seattle site (Stuart Dempster, performer). 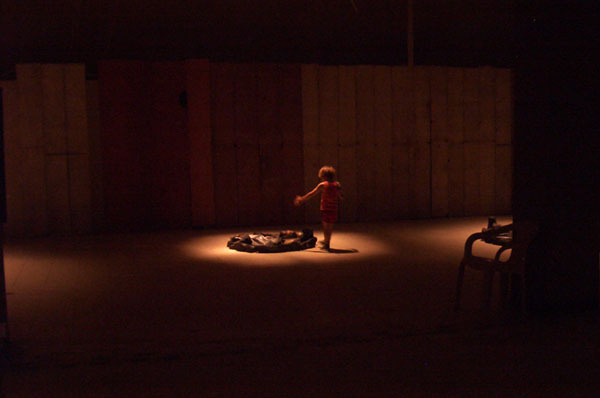 Audio recording done at Cleveland site (Stuart Dempster, performer).